On Monday a fire ripped through Notre Dame Cathedral in Paris. The historic spire came crashing down. 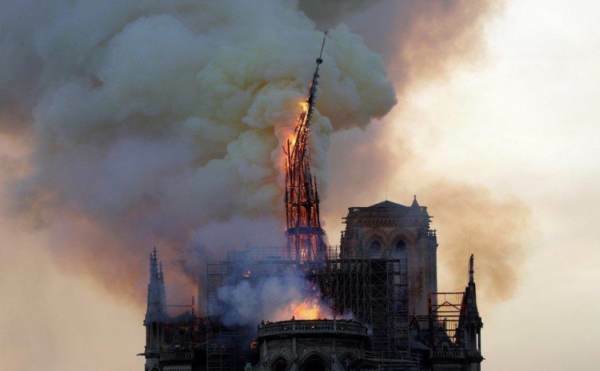 Nine centuries of history and art were destroyed in the flames. President Donald Trump tweeted out on the horrific destruction. That’s when Never-Trumper Ben Shapiro posted this tweet mocking Catholics and President Trump. For some reason he thought this was a good idea. 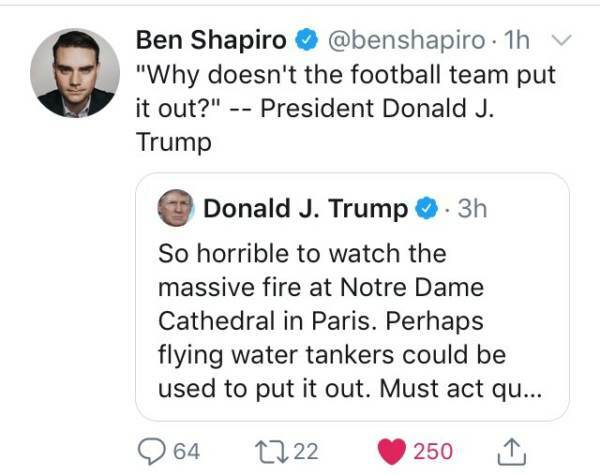 Ben Shapiro has never been a fan of the president. He campaigned against him and still hates him. But to tweet this out was beyond disgusting. At some point you have to let your Trump hatred go. Ben later deleted the tweet.